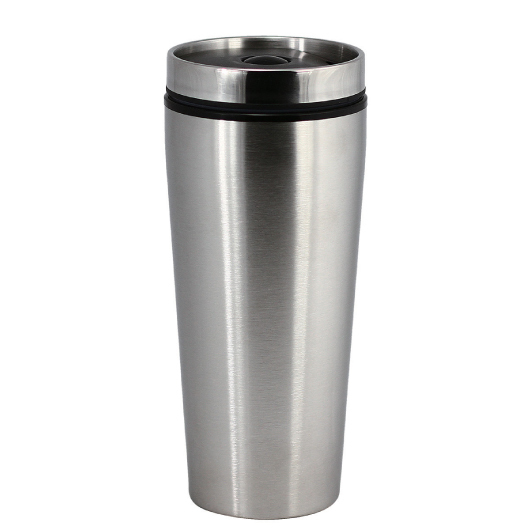 A double-walled, stainless steel coffee mug designed to keep your favourite hot or cold beverages for long hours. 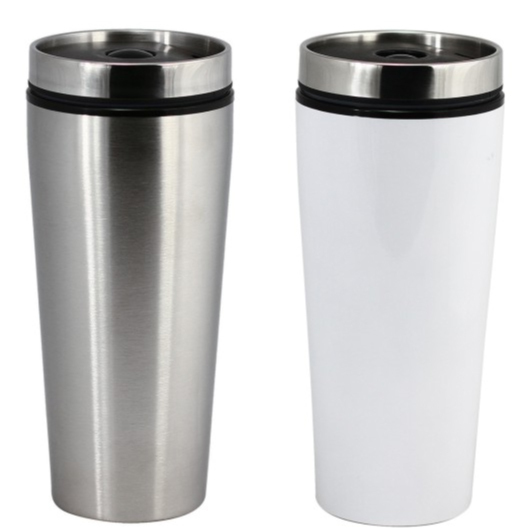 A travel mug with a nice curved design that fits in most vehicles cup holders. Features a leak- and spill-proof lid with a secure button to help keep beverage at optimum temperature and prevent spills. 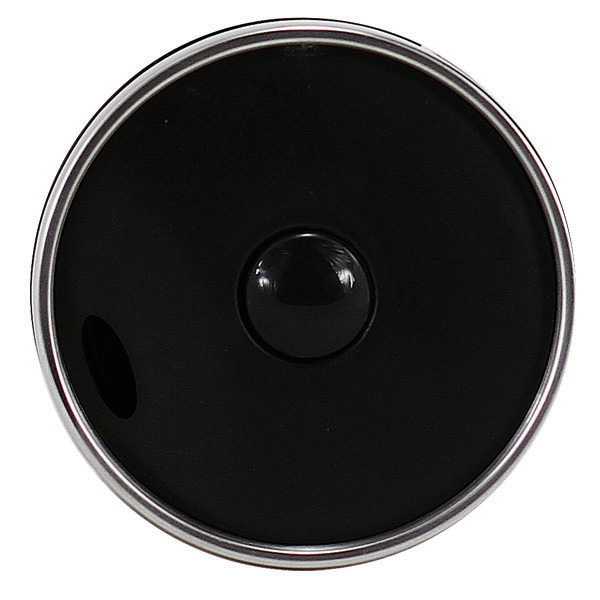 It has a thoughtfully designed lid that pivots open, making it easy to clean, hand washing is recommended. 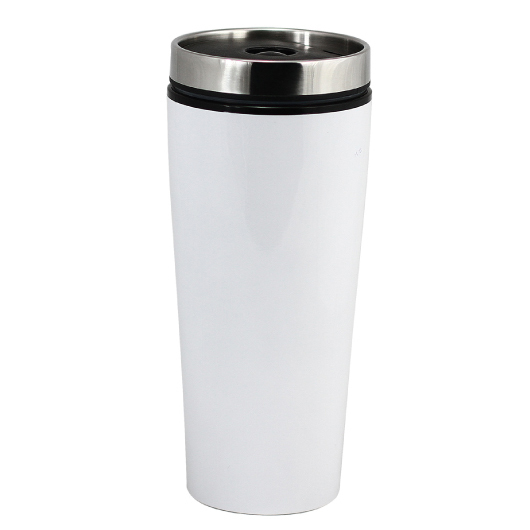 It is made from stainless steel alloy outside and BPA Free plastic inside making it double-walled. 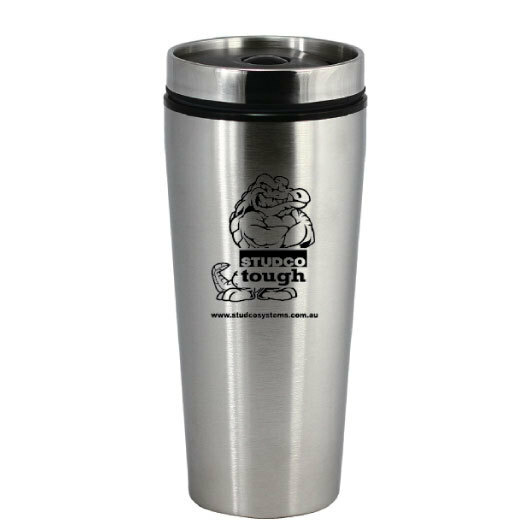 Designed to hold 400ml of your favourite beverage, and makes a great gift or promotional item.